In this article I will tell you a bit about my experience using Sitecore Experience Platform for the Inflection Point brand and how it has helped directing our digital marketing strategy. It all started as a love-hate relationship but after 4 years I can say I am a Sitecore lover! Being a marketer without software development knowledge, it was a challenge at first to ever think that a CMS (Content Management System) could be used in such an easy way. But yes, it is possible! At Inflection Point we envisioned our website to be easy to navigate, brief but containing useful information, and catchy. Being a modern company, our website has to portray its essence and culture. The Sitecore Experience Platform is such a powerful tool for me as it enables the content editing and management, making it really simple. Another advantage, besides the friendly (User Interface), is workflows are helpful in order to maintain a right communication within different areas of the organization and have an efficient approval process. 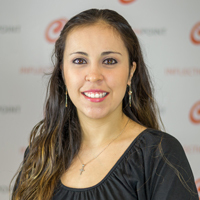 Our blog is a key tool in order to develop this part of our digital strategy - to create and communicate valuable content related to Inflection Point’s areas of expertise. The blog is also within the Sitecore platform and as I said before, the management and editing of the content is smooth and allows the user to customize it in many ways; which helps a lot when the content has to be directed towards several targets. The Open Graph is another cool feature that I like. Let me explain it… Sitecore has this module that allows to define the images you would like to be used if you share this landing page in different social media channels. This is a time-saving feature because you can just set it up right from the start and after publishing the content (making it visible for everyone), you won't have to worry about how it’s gonna look on Facebook, Twitter, etc. The best part is that everything you share will match with the design-style of your brand, this way the perfectionist who lives inside you can be at ease. There are so many advantages that it would take me more than one article to tell you about them, so I will be telling you more about the features that I like the most and I hope it can become handy if you are considering using Sitecore for your company.